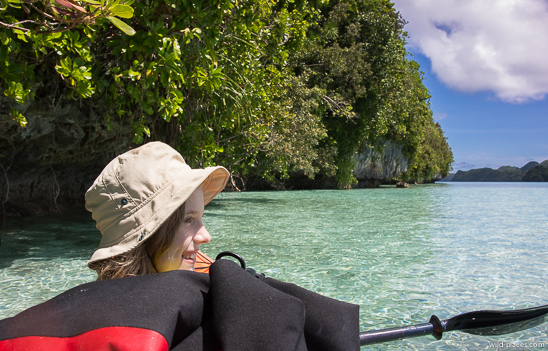 In August I went for two weeks together with Kerstin and Linnéa to Palau. 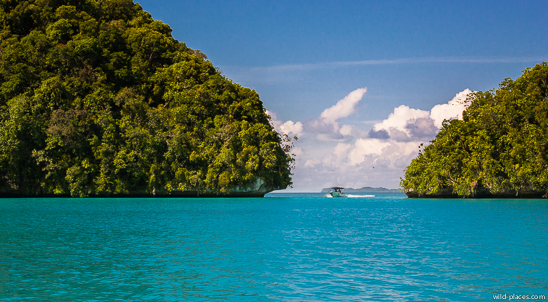 If you are not into diving, chances are high that you’ve never heard of Palau. 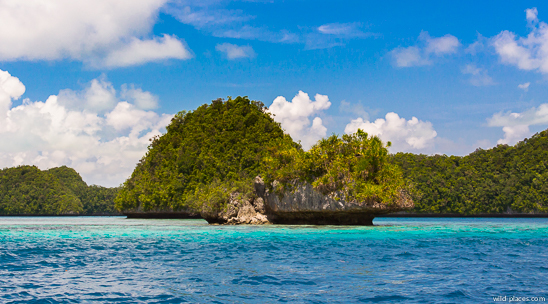 It’s a small island nation in Micronesia, located between Papua New Guinea and the Philippines. 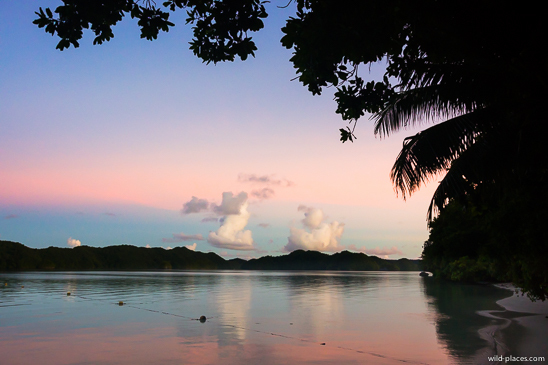 Why did I choose Palau? Mainly due to an old IMAX film from 1995. 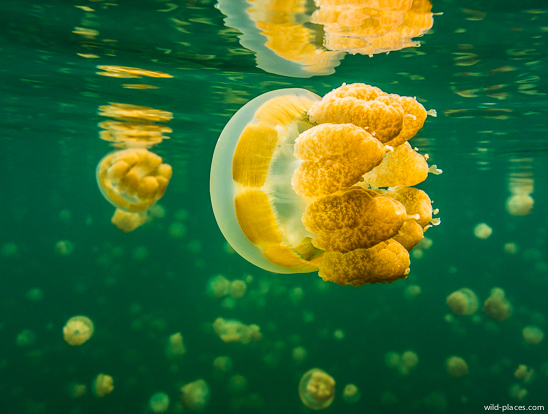 20 years ago I watched ‘The Living Sea’ at an IMAX cinema in Berlin and was absolutely fascinated by the beautiful landscape of the Rock Islands and especially the Jellyfish Lake scenes where the divers were swimming through millions of golden jellyfish. 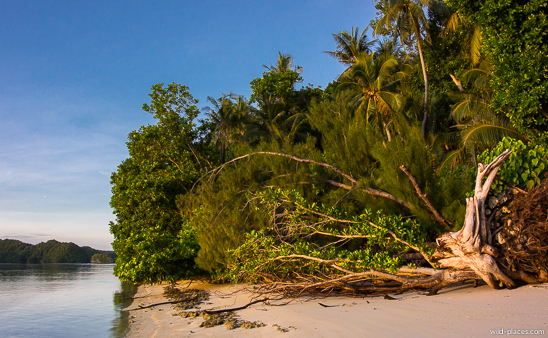 At that time as a student traveling to Micronesia was just not possible. 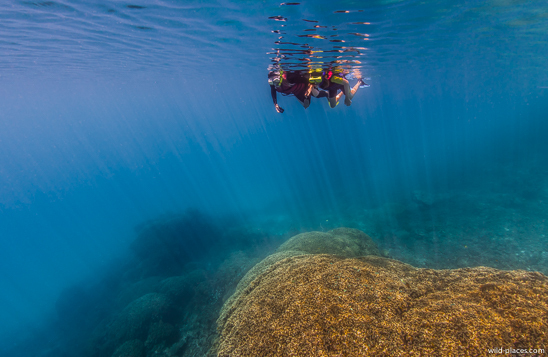 When I started with underwater photography two years ago I suddenly remembered that place and really wanted to visit it now. 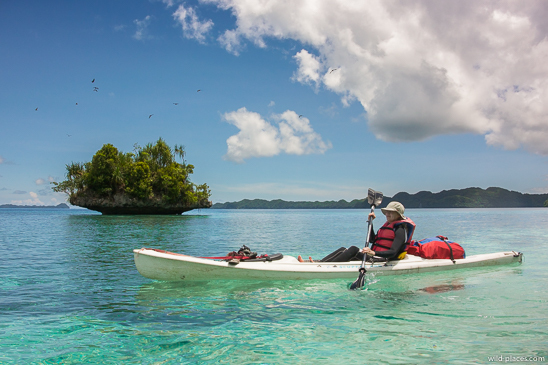 Getting to Palau is not that easy. If you are not living in Southeast Asia there are no really good connections. 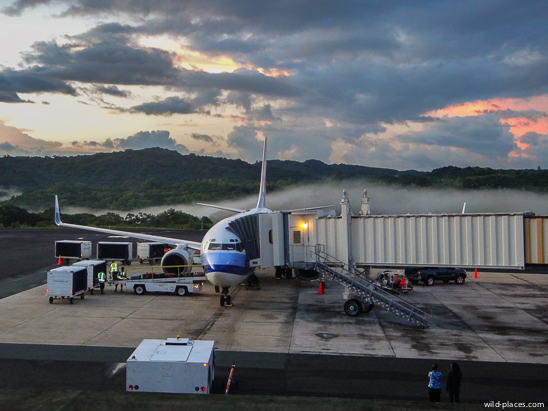 We were flying from Munich via Frankfurt and Taipei to Koror, with a very long wait on the Taipei airport for the connecting flight. 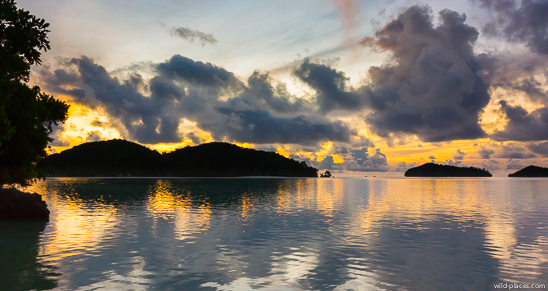 24 hours later we finally reached the airport of Koror on the main island of Palau. 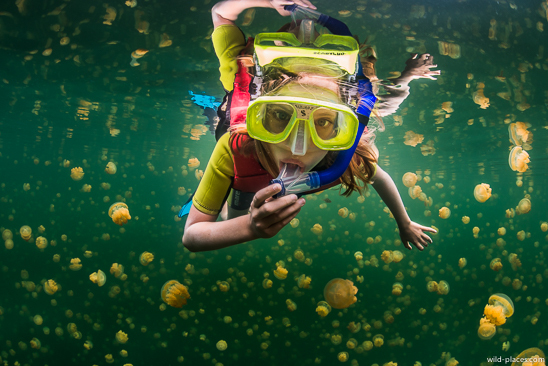 My main interest was shooting at the Jellyfish Lake. Getting there from Koror is a one hour ride with a speed boat. 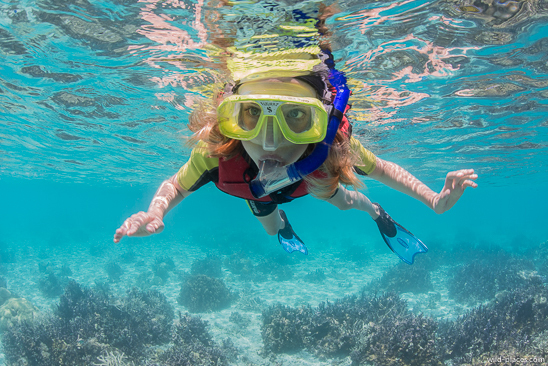 If you book an organized group tour you have only about 30 minutes time at the lake and you will visit the lake when it is very crowded with other tourists. Therefore this was not my preferred choice. Renting a private boat for a couple of days to get to the lake would be very expensive (combined with the very high hotel prices in Koror about 1200$ per day). 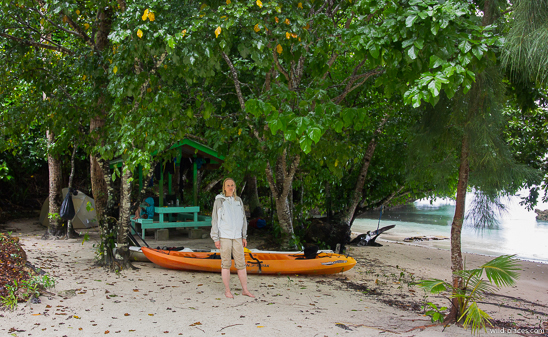 Before my trip I exchanged a couple of emails with Tova, the owner of Fish ‘n Fins, a well known and reliable tour operator in Palau. 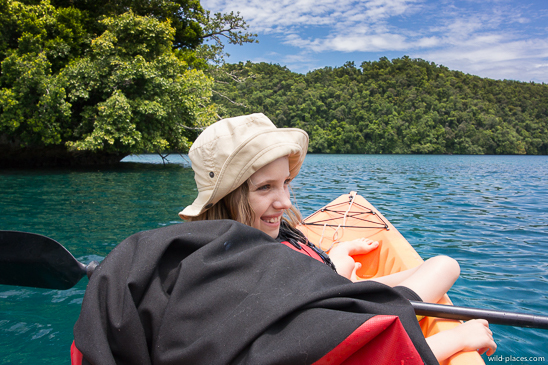 She finally had a great idea: instead of staying at a hotel in Koror and taking a boat every day to the Rock Islands and the Jellyfish Lake, we could camp directly on the Rock Islands, rent two kayaks and paddle to the Jellyfish Lake and stay there as long as we like. Camping on the Rock Islands is free, you just have to pay the entrance fee for the national park. This sounded like a great idea to me. But it’s probably not the best solution for everyone. There is nearly no infrastructure on the Rock Islands. There is no electricity (meaning no chance to recharge any camera batteries) and no fresh water on the islands. 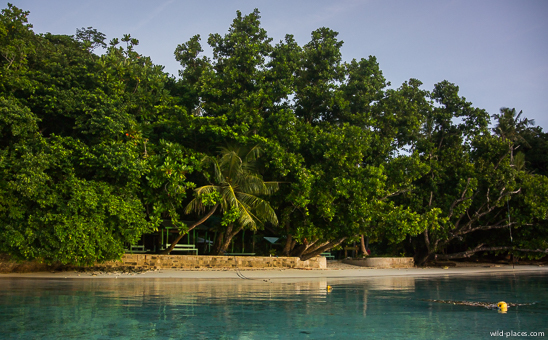 You have to bring all your water from Koror to the islands and you can only use salt water as your daily shower. On some islands there are pit toilets, but that’s it. You also have to bring all your food and a camping stove. And you should definitely not forget your torch light, it’s really dark at night. 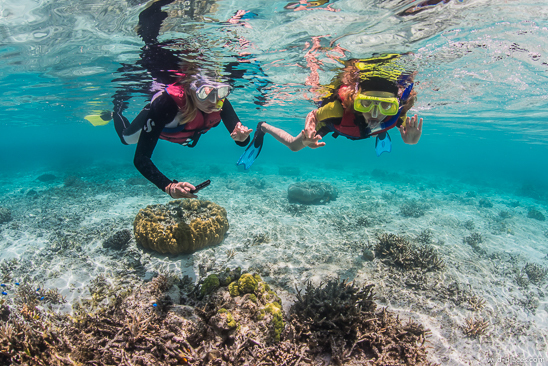 Since we were traveling with a child we decided to also take a satellite phone in case of emergencies (I have an Inmarsat phone which worked perfectly on the Rock Islands). 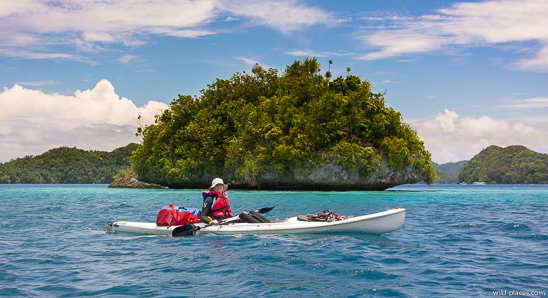 We used the first two days on Palau for organizing everything for our trip: buying a camping stove with some butane cartridges, food and water (90 liter) for 10 days, checking the rented kayaks, charge the batteries and coordinate the transportation of our equipment to the Rock Islands. 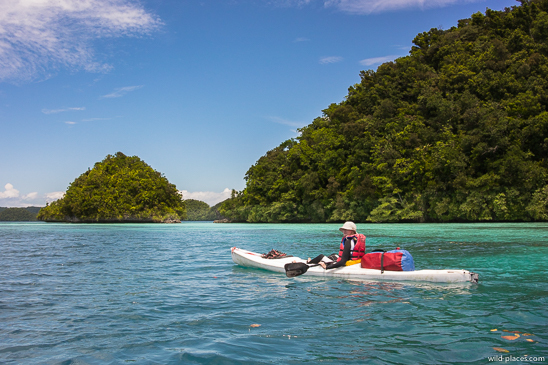 Two days later all our stuff, including the kayaks, were brought with a speed boat to the Rock Islands national park. 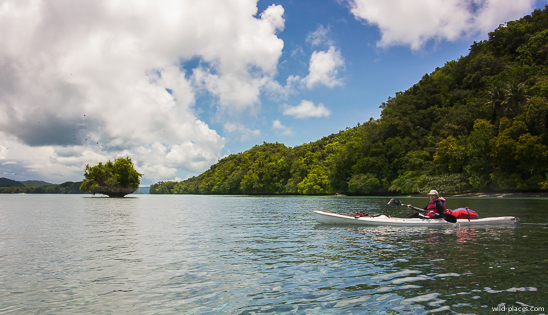 The ride with the speed boat gave us a first impression of the beautiful landscape of the Rock Islands. Finally we were dropped off at the island of Ncchelobel, near a place called Clam City. 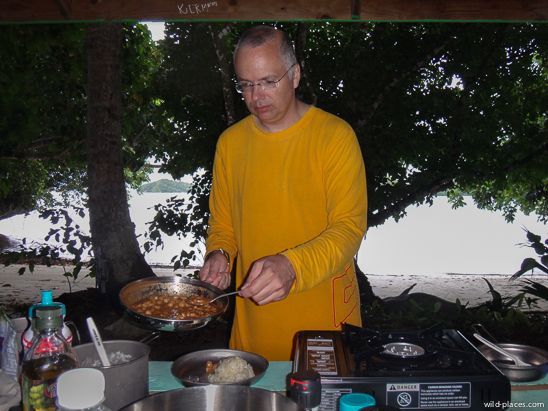 We pitched our tent and prepared some meals on our new butane stove. 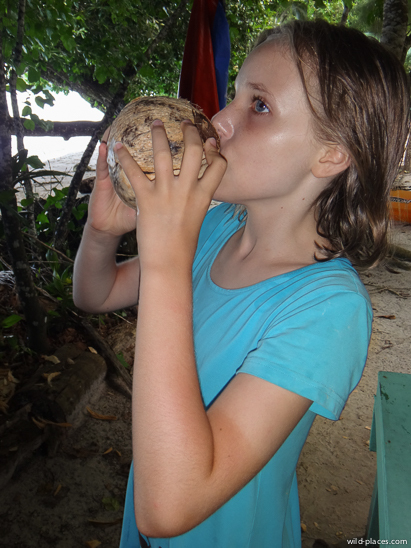 Finding some coconuts, opening them with our knife and drinking the fresh coconut milk was a great experience for Linnéa. During the day our island was often visited by tourist groups which stopped there for a lunch break. But between 5 pm and 10 am nobody else was on the island. On the first nights it was feeling a bit strange hearing all these jungle sounds at night and knowing that the next people are quite far away. But after a couple of days we got quickly used to this and soon really enjoyed feeling like Robinson Crusoe. Our island had some lovely beaches und every day we could watch the beautiful sunrise and sunset directly in front of our tent. 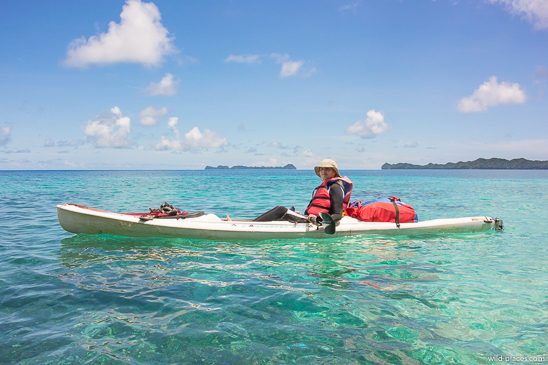 To get to other islands we had to use our kayaks. Since the Rock Islands are well protected from any wind the sea is often very calm. 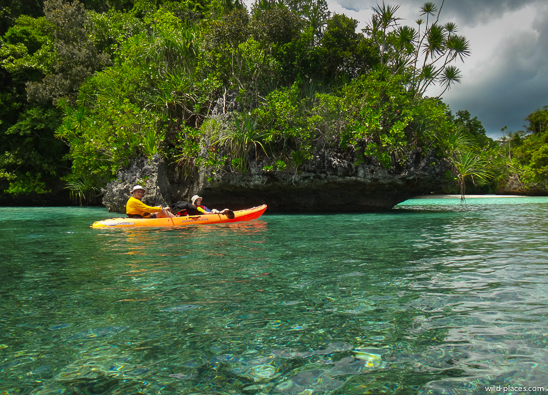 Kayaking through the Rock Islands was a great experience. The landscape is extremely beautiful. 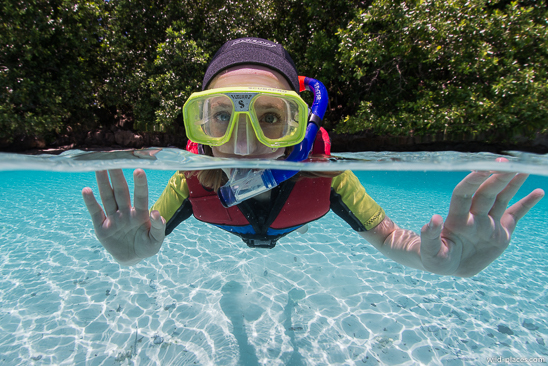 On our tours we often stopped at lovely places for some swimming or snorkeling. 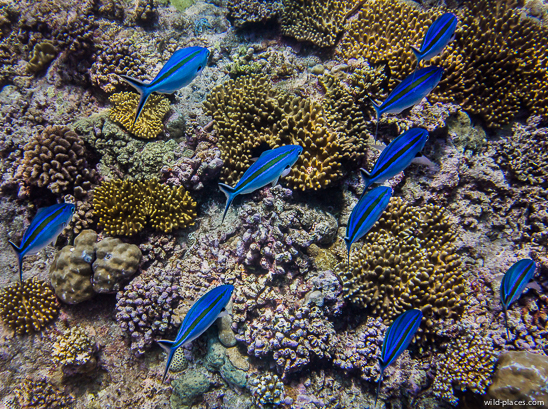 The underwater world in Palau is really fantastic and at least as good as on the Maldives. 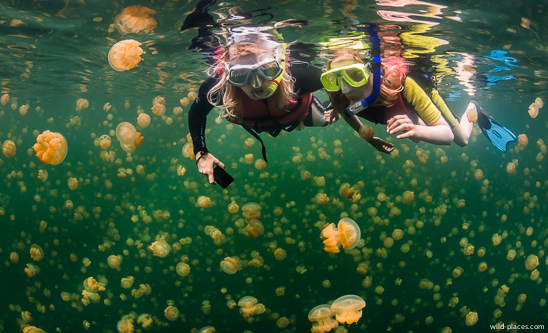 On four days we paddled to the Jellyfish Lake which was about 45 minutes away from our island by kayak. 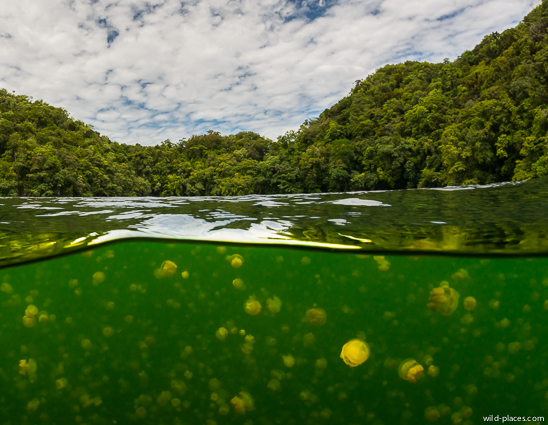 The Jellyfish Lake with the Palauan name Ongeim’l Tketau is a meromictic marine lake with a reduced salinity on the surface due to the high annual rainfall. It is about 12000 years old and is connected to the ocean only through small cracks and crevices. 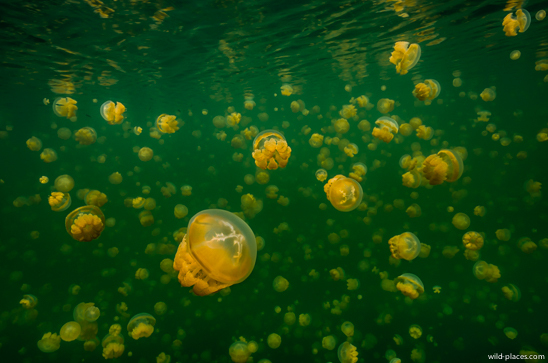 In the lake lives a population of 6.2 million jellyfish, an endemic subspecies of the golden jelly, the Mastigias papua etpisoni. 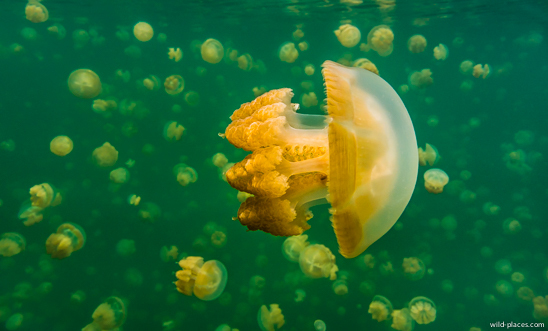 These jellyfish have a symbiotic algae living in their tissues. 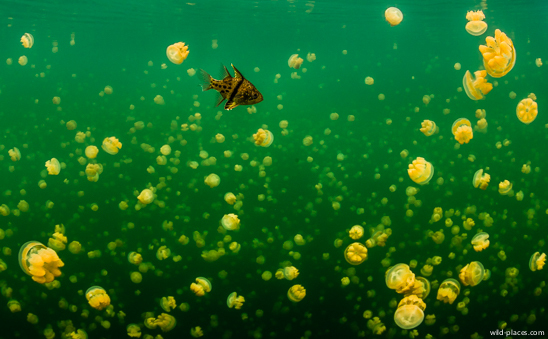 The algae gives the jellyfish energy and nutrients gained through photosynthesis and the jellyfish swims around the lake and rotate to ensure that the algae will get enough sunlight. 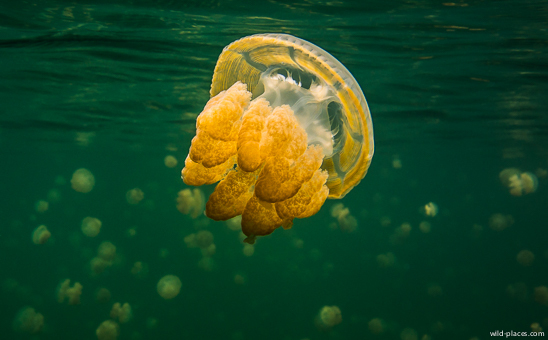 They have stinging cells but the sting is very mild and essentially harmless to humans. Normally you won’t feel anything unless they get in contact with very sensitive skin areas like your lips. And even then it’s only a slight prickling. 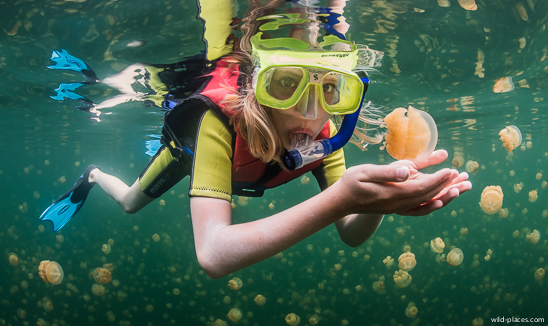 There are only a couple of similar jellyfish lakes in the world. 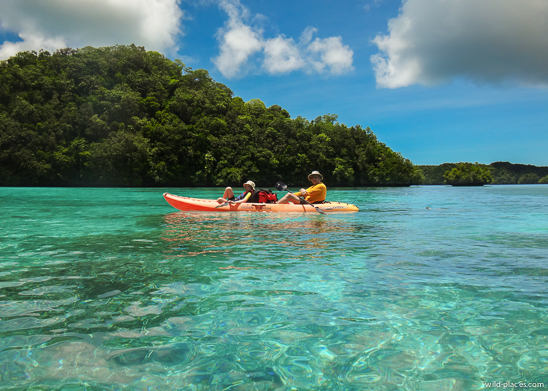 The Ongeim’l Tketau in Palau is the most accessible one. 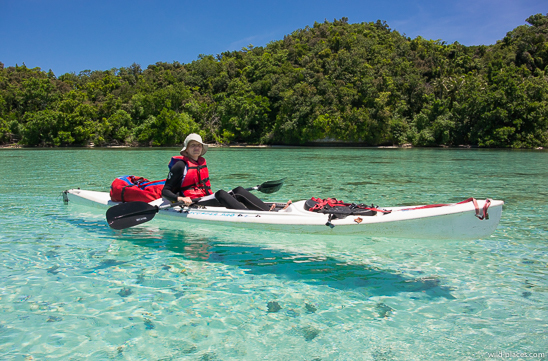 Others are located near Raja Ampat and Borneo and are much more difficult to reach. 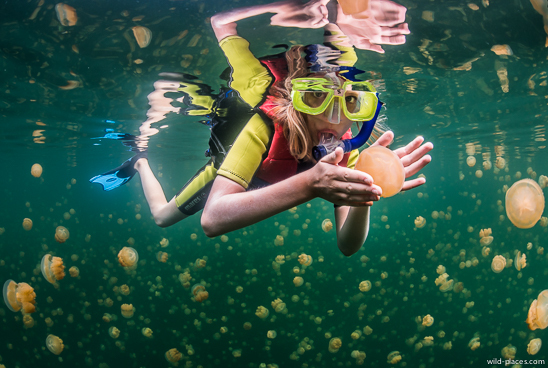 It’s an incredible experience to snorkel through six million jellyfish. It’s a feeling like being in the outer space surrounded by millions of aliens. It’s not comparable to anything else on this world. If you have a chance to visit this place: do it! 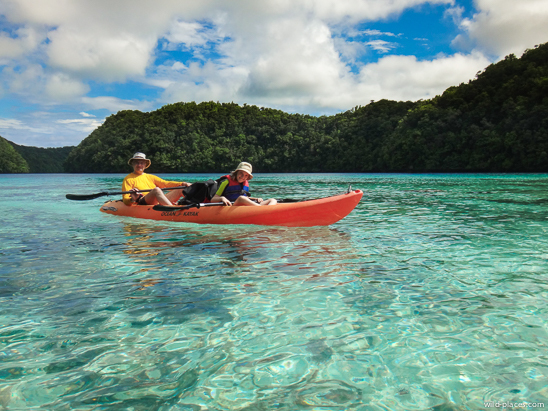 After 10 days on the island we were picked up again by Fish ‘n Fins and brought back to Koror were we spent the last day of our trip exploring some of the museums about culture and history of Palau and enjoying a lovely dinner at the great Indian restaurant The Taj. 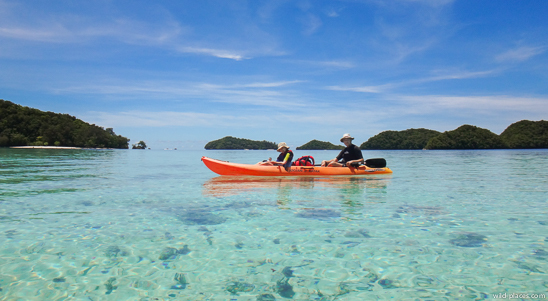 Altogether it was another great trip and we can really recommend Palau as a travel destination. 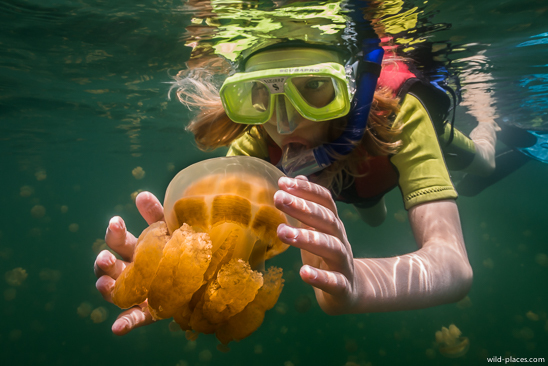 Snorkeling in the Jellyfish Lake was an awesome experience but we also enjoyed the Rock Islands and especially the camping on one of the islands. 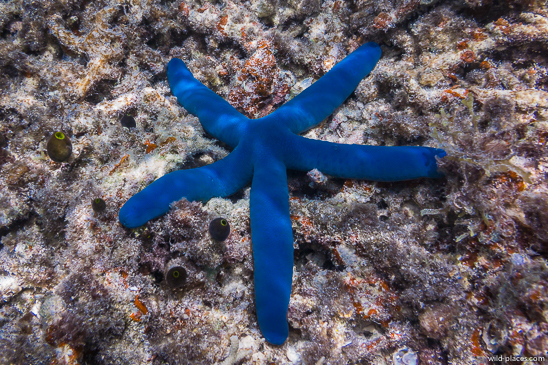 You can find my best underwater images from this trip in my Palau Gallery.